As a Single Woman myself, I know that surviving the holiday season can be challenging at times. You find yourself watching Christmas romcoms and wondering why it’s never you. However, as much as you desire companionship during the holidays, one type of season should be avoided. Cuffing Season. 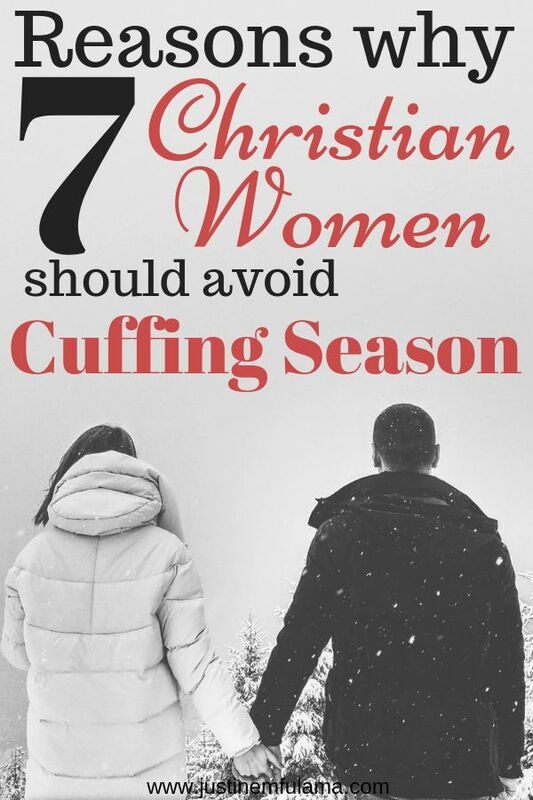 Now you might ask yourself what cuffing season even is? While I don’t remember when the word was introduced, it has very much become a ‘thing’ in pop-culture. Cuffing Season is during the months of October to February. A period in late fall and winter, when single men and women are more likely to get into a relationship in order to not be single during the holidays and feel lonely. Pretty much a desperate attempt to escape the winter blues. Still, don’t believe me? No worries. 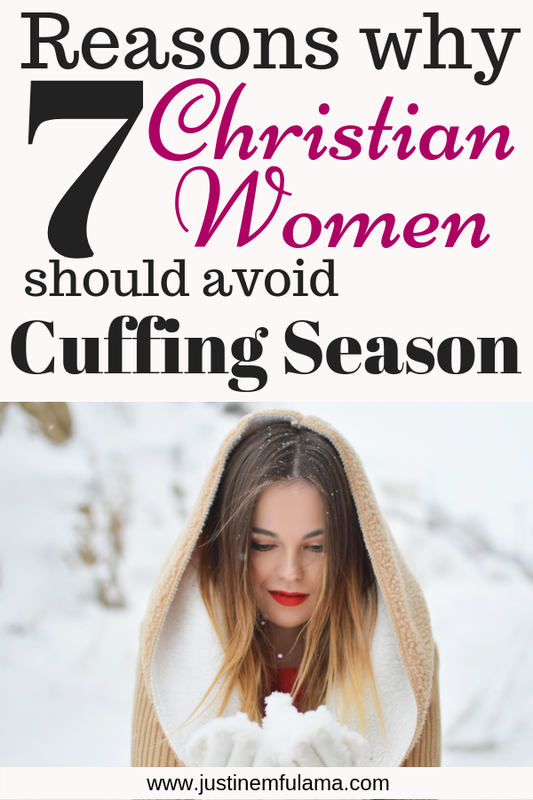 Here are 7 reasons why Christian Women should avoid cuffing season. The thing with relationships that are created because of cuffing season is that they are not healthy relationships. In essence, the two of you just navigated towards each other because of the void in your lives, which is particularly hard in the winter months. The problem with that is that even if you decide only to spend more time with someone to keep you company, you still develop emotions for them. And suddenly you develop real feelings for a friend you thought you are just ‘hanging out’ with. If your biggest concern during the holidays is that you are the only one of your friends that is not in a relationship, then you might have a bigger problem than you are willing to admit. While the desire to have a companion that you can exchange gifts with is natural. It becomes critical when you want a boyfriend no matter what. As Christian Single Women you should not want to be with someone that God did not send for you. Because that person will do you more harm than good. Instead, you should aim to find out why you are not feeling peaceful and content during the holidays. I personally think that one of the best seasons to meet a Godly man is during the holiday season. Why? Because of all the great holiday parties of course. Your church, your work, and your family might throw a party and invite someone new that you haven’t met yet. And voila, he’s the one. Don’t sabotage God’s plan for your life, by blocking the seat next to you with the cuffing season guy. Instead, get yourself into the holiday spirit and trust that God will provide the right one at the right time. Quite honestly, I think that cuffing season is for singles that are desperate. The problem with making decisions out of desperation is that they are usually not good. You might end up seeing a guy that is not really invested and shows little to no interest to make the relationship work. He doesn’t call and he doesn’t plan any dates. If you are unlucky you might end up being more stressed with the guy then without him. And if everything goes left, you might end up heartbroken during the holidays. If you think that cuffing season will help you avoid uncomfortable conversations at the dinner table. Then I have bad news for you. Men already have a hard time committing to the person they really like, how much more unlikely is it then that you will get a cuffing buddy to commit to dinner at your parents’ house. A relationship, that is built on a whim doesn’t hold the same weight as a relationship in which both partners are committed and responsible. Those two things are what make a relationship real. Without it, you will experience too many dealbreakers in your relationship and waste your time. On the other hand, if you were convincing enough and got him to join you for your holiday party at work, then you have some explaining to do after the holidays. Which in my opinion is even worse. Now all your co-workers will ask you about him the following year and feel sorry for you once you explain that it’s over. Not fun! Every person you allow into your life eventually affects your life in some form or fashion. They might be a good or bad influence. They might build you up or tare you down. They might add to your life or distract from it. As a Single Christian Woman, you are called to guard your heart above else. That means you are advised to only allow things and people into your life that will keep you on the right path. And moreover, to put boundaries up, so that your desires don’t get the best of you. Cuffing season, on the other hand, is the exact opposite. It’s a decision solely made on your desires. And often the guy you so desperately desire is not the one and ends up hurting you. Don’t sabotage your spiritual and emotional health by engaging in an activity that will leave you broken. 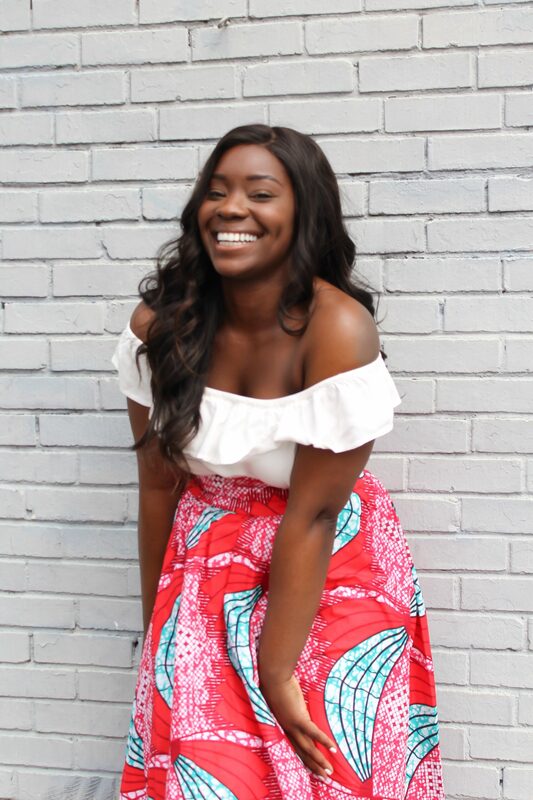 Rebuilding confidence, self-worth and trust after a heartbreak is way more painful than enduring a season of loneliness. What reasons to avoid cuffing season are important to you? Share BELOW!